The faction war is beyond played out. It’s tired, it’s predictable, it’s stagnant, and it’s downright depressing. But it didn’t have to be this way. Blizzard had a fantastic expansion concept sitting right under their noses. I’m not sure I’m quite ready to enthrone Legion as one of the high watermarks of Warcraft story-telling alongside Mists, Wrath, and Reign of Chaos, but there are some things it did very right. One of them was introducing the idea of the World Soul, one of the most powerful Warcraft plot revelations in years and an all around awesome fantasy concept. The realization that Azeroth herself is an entity puts a whole new spin on all the events of the franchise to date — it explains why so much crazy stuff happens to this one planet — and it makes all that our characters have fought for feel so much more meaningful. 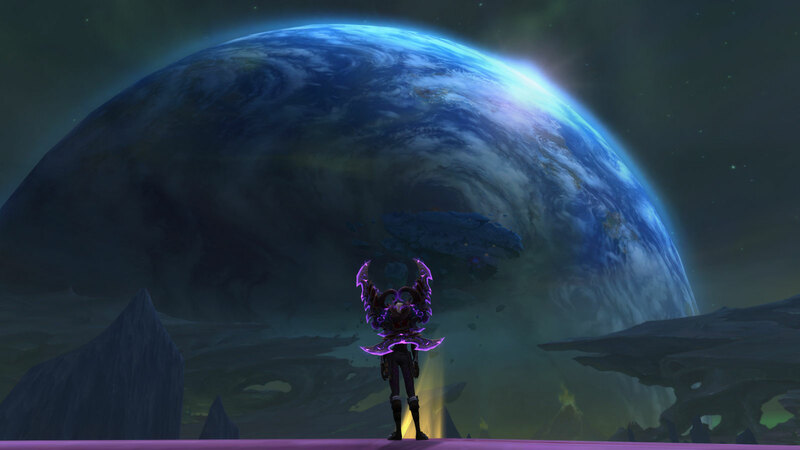 I’ll never forget setting foot on Argus for the first time and seeing Azeroth hanging in the sky. I thought of all the adventures I’ve had in this universe over the years, and it gave such a sense of purpose to the events that followed. Legion ended with Azeroth’s World Soul suffering a mortal blow. Azeroth itself is literally dying. It needs champions to defend it. And that is where the story should have gone. Imagine an expansion that is less about conquering new lands or hunting down villains and more about healing the land. About coming together — human and Orc, Elf and Troll, Alliance and Horde — to restore that which is beautiful and right in the world. 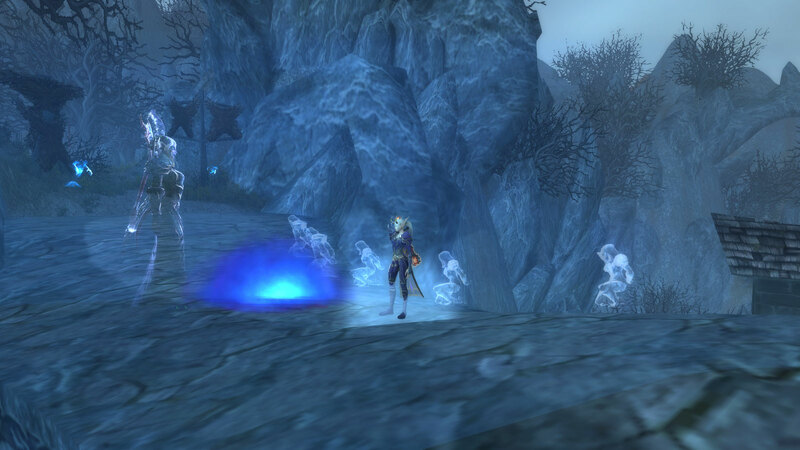 To heal Azeroth’s wounds, physical and cultural. That’s not to say there couldn’t still be drama and conflict. Undoubtedly the minions of the Old Gods would rise up to strike the killing blow in Azeroth’s weakest hour. Perhaps remnants of the Legion might seek revenge as well. Azeroth’s enemies would be many, the threats constant. But that’s where us adventurers would come in. We would fight, as we murder hobos are wont to do, but not so much against something as for something. 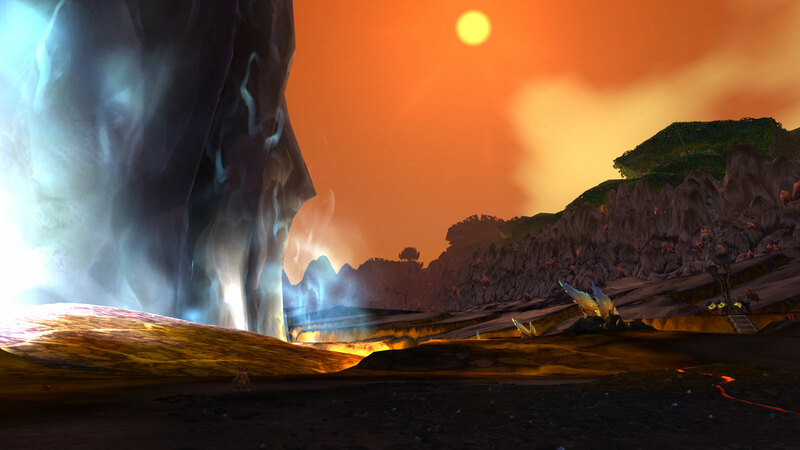 To preserve Azeroth, to see another dawn. To save the world, in the truest sense possible. That’s the Battle for Azeroth that I want to see. Not a fight to control Azeroth, but a battle for Azeroth. That would have been something fresh in the mythos of Warcraft. Perhaps more importantly, it would have provided a much needed note of optimism at a time when the real world is becoming ever more divided and ever more hopeless. But instead we got this tired, cynical story of the Alliance and Horde once again falling on each other like the rabid dogs they apparently are. My journey to complete every class story in World of Warcraft has finally ended. Along the way, I also completed all thirty-four of the game’s artifact quests, and now I bring you my thoughts on them all, ranked from worst to best. Wastes far too much time on the insufferable Li Li Stormstout and features a generic no name villain whose plans and motivations are never explained in the slightest. A sloppy, underwhelming quest all around. This is a mage quest. No, really. It’s an almost exact copy of the Aluneth quest, and it doesn’t make sense for a priest artifact at all. 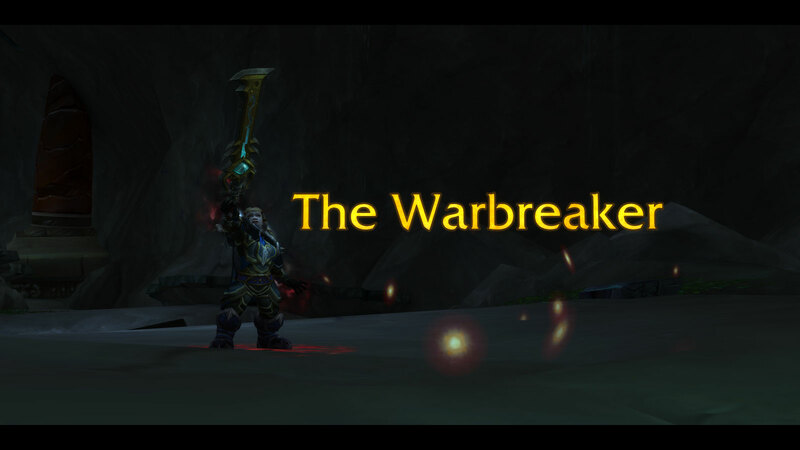 Deserves credit for being one of the more elaborate artifact quests and requiring you to make smart use of pretty much the entire rogue toolkit, but I found the stealth mechanics irritating, and the story only makes sense if your rogue isn’t Alliance and hasn’t finished the rogue story yet. Kind of a sloppy quest. I got excited when I saw Illysanna Ravencrest was involved because I thought it’d help explain how she came to be a boss in Black Rook Hold, and I guess it does, but if you blink, you’ll miss it. Wasted potential there. Plus the ending just doesn’t make any sense. Not a bad quest, but an unremarkable one. I’ve never understood the appeal of pirates in fiction, and the story has basically zero relevance to the greater Warcraft lore. Very basic. Feels like any other random side quest. Short and forgettable. Nothing particularly bad about it, but nothing that stands out, either. Tells you nothing about the artifact or its history. Nothing wrong with this quest, but nothing to praise, either. It’s very adequate. SUPERB CASTING. GET BACK TO THE FOCUS. I’LL KEEP AN EYE OUT. Also the boss fight was too easy. Maybe it’s because I did it last, but I found this the least interesting of the quests at the Tomb of Tyr. Seemed very easy, too. Arms is a lot more fun to play than I expected, though. It started out well, but was too inconclusive. Ultimately little more than a tease for longtime lore fans, bringing us tantalizing close to the answer to a very long-held question but never actually giving it. That wouldn’t come until Argus. Seemed meatier than most artifact quests, which I appreciate. Needs less Mimiron, though. 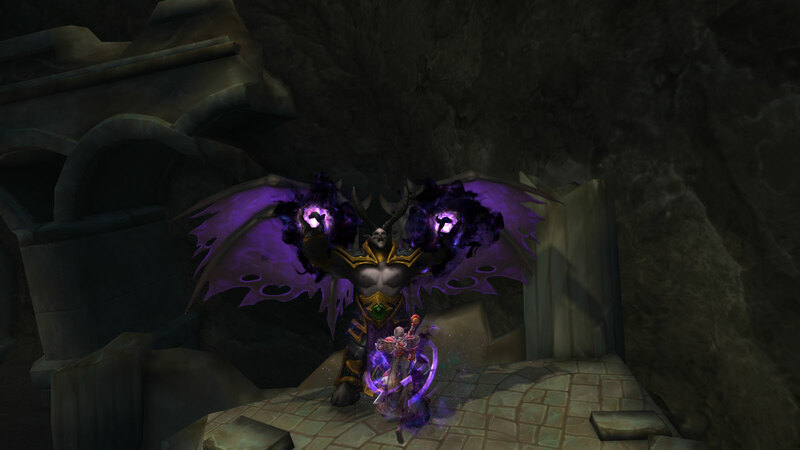 Hard to separate how much I dislike the new demonology from the quest, but Mephistroph is a good villain. Seemed unusually challenging, but maybe it’s just because I’m not used to the spec. Had a nice spooky feel, but was a bit confusing. Didn’t explain the history of the artifact very well. One of the more fun artifact quests in terms of gameplay, but kind of a giant heap of nothing story-wise, especially considering the history of the artifact. There’s a lot more they could have done. Interesting revisiting the Ethereum and the Nexus War. Not sure I like the idea of a weapon that talks back so much, though. Not a huge fan of artifact quests that have so little to do with the actual artifact, but the story of the son trying to save his father’s soul was an interesting angle. This is pretty much the quest for Ulthalesh with slight tweaks. It’s a good quest, but a weapon with such legendary history deserves better. Another Ulthalesh clone, but better executed. You still don’t learn much about Apocalypse itself, but the story surrounding its acquisition is complete and satisfying. I’d probably rate this quest higher, but I expected more for such an iconic part of Warcraft lore than just bashing Troggs and fighting one demon. Honestly the best part was probably Stormcaller Mylra, who has always been and will always be awesome. Sassy Dwarf lady FTW. I don’t understand why this is a shaman artifact. I mean, I get the water connection, but it still feels weird for an item associated with one of Azeroth’s most infamous and evil mages to be wielded by a shaman healer. That said, this quest is pretty good. 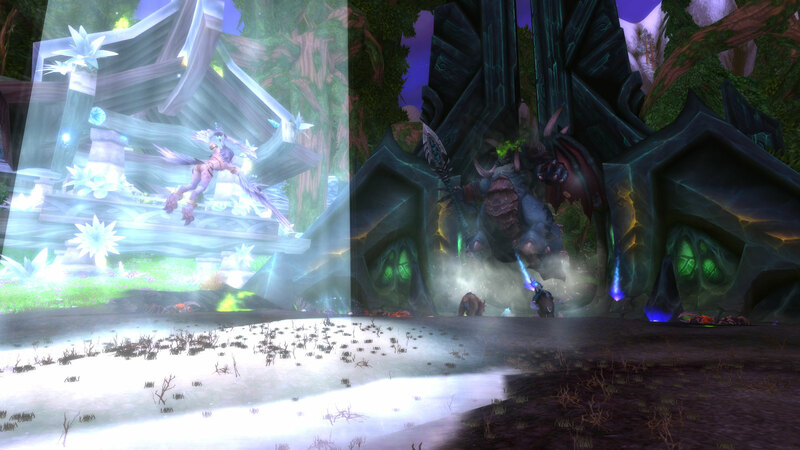 I always liked Vashj’ir, and the end boss’s fate is… memorable. A somewhat short but entirely satisfying quest. Interesting story, nothing to complain about. Interesting thing about this one is it features cameos by a couple of characters from other class stories: Vindicator Boros and Jace Darkweaver. Nice bit of continuity there. And it’s a pretty fun quest all around. Not very story-heavy, but the familiar characters and location still gave it a great jolt of Pandaria nostalgia. Challenging enough to be interesting, but not frustrating. Less Blood Elf lore than I expected/wanted, but was interesting to revisit Icecrown. This quest did a great job of capturing the rogue feel and making use of the class’s mechanics — from stealth to pick-pocketing — and had a surprisingly epic story to boot, sending you face to face with one of the greatest villains in Warcraft lore. 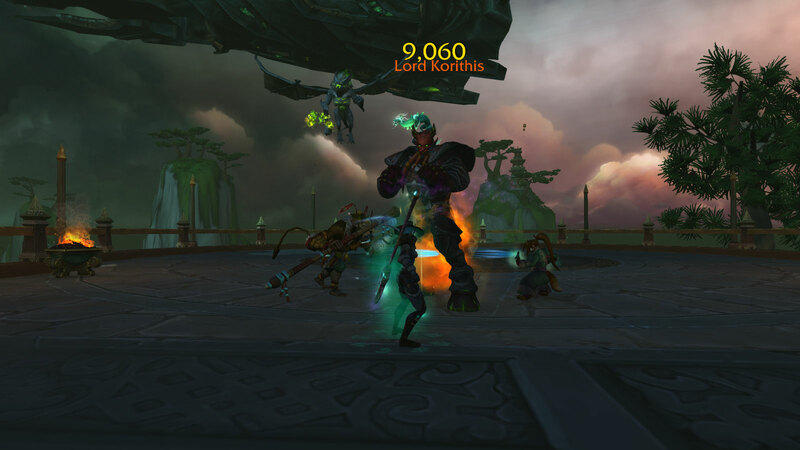 This is clearly meant to be the first artifact quest you do as a DK, and if you don’t, the timeline gets a bit wonky, but otherwise, this is an excellent quest. There’s a surprisingly clever little puzzle, and the final boss fight is a lot of fun. Excellent quest. Lore-rich, good use of Wrath of the Lich King nostalgia, and engaging gameplay that forces you to use your full toolkit as a paladin tank. There’s even a little humour, though not enough to detract from the epic feel of the quest. I loved how your allies bubble-hearth at the end. Best of the healer quests. 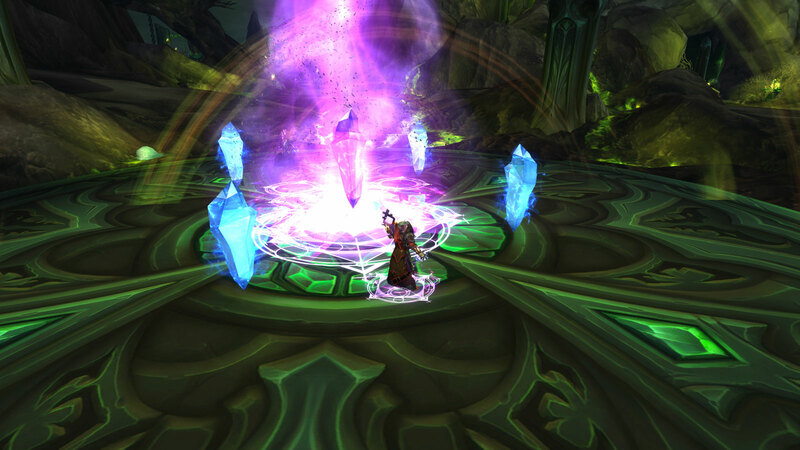 The mechanics make inventive use of the healer toolkit, and the story is exciting and intense. 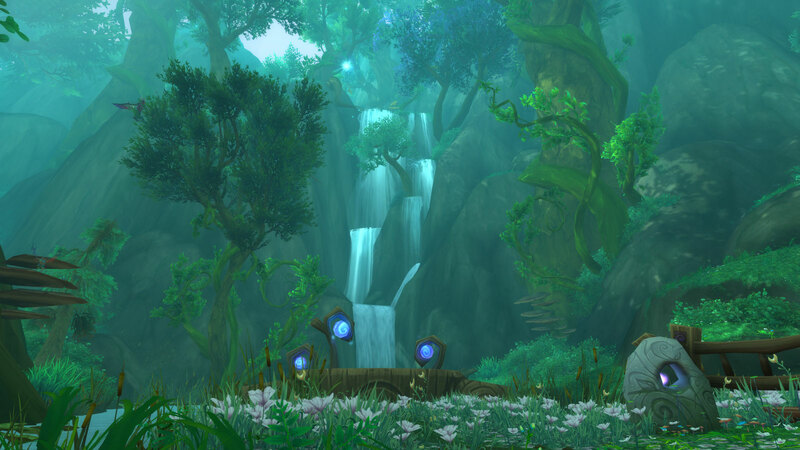 Larger in scale than many other artifact quests — visiting many locations across the face of Azeroth — and captured the feel of the class incredibly well. Betrayal, murder, the quest for ultimate power — everything you could want from a warlock story. Has more effort put into it in terms of unique art and maps than probably any other artifact quest. Also serves to set-up the Emerald Nightmare raid, and revisiting Grizzlemaw for the first time in nearly a decade was warmly nostalgic. Generally pretty awesome. Not sure this was the time for a random Mylune cameo, though. 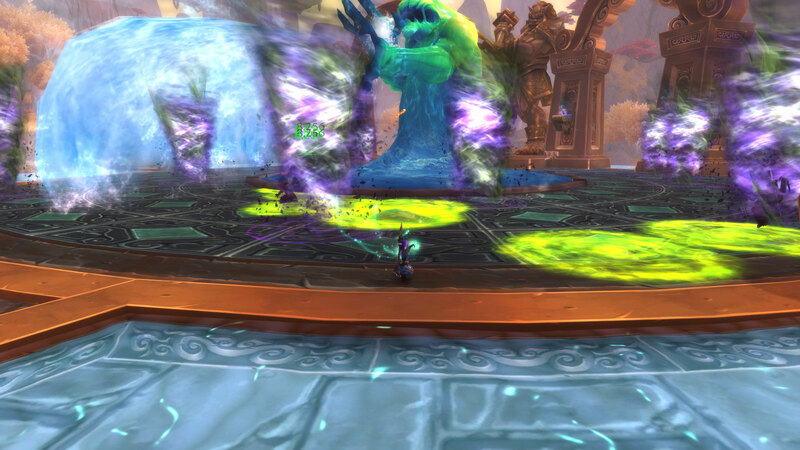 Any opportunity to revisit Pandaria is welcome, and I’m glad they let you do it on at least one non-monk class. It’s also a very well-rounded quest. Lots of backstory on the artifact, reunions with familiar faces, some of the most inventive boss fights I’ve seen in an artifact quest, a little humour, and a very intense ending. Plus I finally got to smack Li Li Stormstout. What’s not to love? If you were to distill Mists of Pandaria into a single one-hour story arc, it would be Fu Zan’s quest. It was charming and whimsical in places, yet deadly serious when it needed to be. It did an excellent job of showing how widespread the Legion invasion is and how vicious it can be. It had some subtlety, too. Though the Monkey King’s task seem simple at first, afterward it occurred to me his request for a special brew was really an attempt to save Pandaria’s food supply. Every place I went to for ingredients was some crucial location the Legion was on the brink of destroying. A very clever, fun quest. 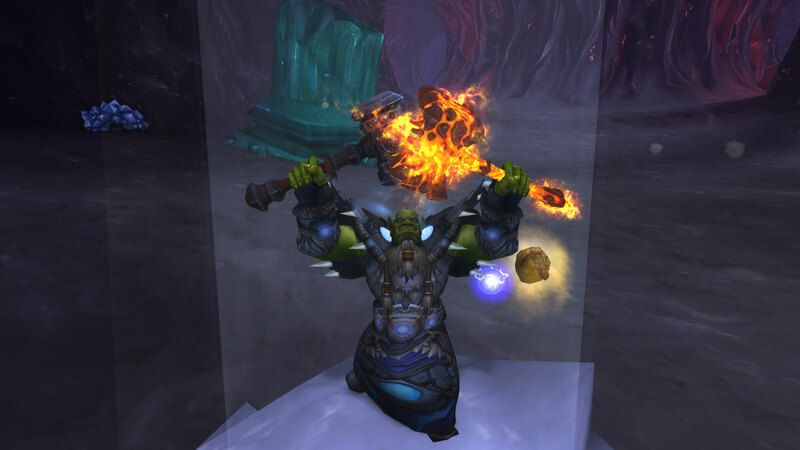 The Ashbringer quest is an absolute tour de force from beginning to end. It features iconic characters from throughout Warcraft lore and actually represents a pretty major moment in the game’s overall story. Balnazzar puts on one of the best villain monologues I’ve ever heard, echoing Sovereign’s equally chilling speech in the original Mass Effect, only for the player to turn the tables on him in epic fashion. 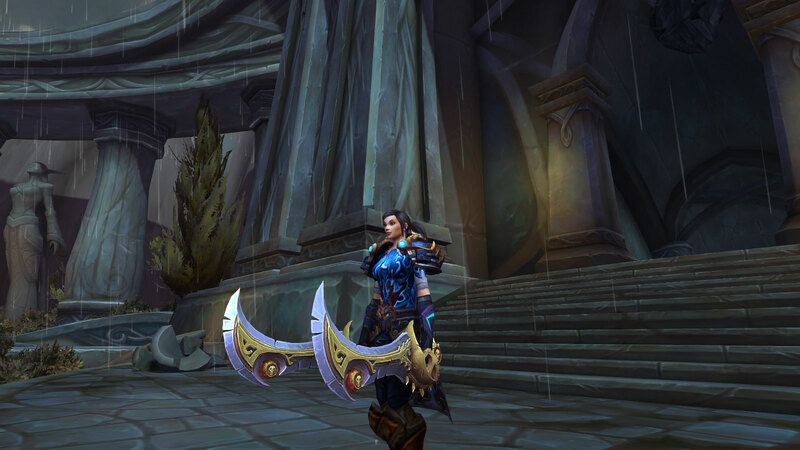 Unlike many artifact quests, you claim the Ashbringer before the final boss fight, and the fight mechanics are tailored around the sword’s ability, which makes for a very satisfying experience. As much as I’ve enjoyed artifact quests, I generally wouldn’t say they’re worth making new alts just to experience them, but this is the exception. It’s worth making a paladin just to do the Ashbringer quest. It’s moving, it’s exciting, it plays to nostalgia without leaning on it as a crutch, and it’s just plain fun.